We have prepared for you lots of contests, an attractive program and we hope you enjoy the final with us. We will tell you the exact details of the individual competitions during the opening ceremony, at least we are sending you a taste of what to look forward to. On Fridays and Saturdays, you will have a beverage servis on the golfcourse, lunch after the game, exclusive halfway refreshments with plenty of snacks, alco and non-alco and great coffee. We will have a Fitting Station at the Driving Range from our partners Golf59, which will take place on Fridays and Saturdays from 8:00, where you can try lots of equipment, letting you measure the length of the shot, the swing speed and other parameters. 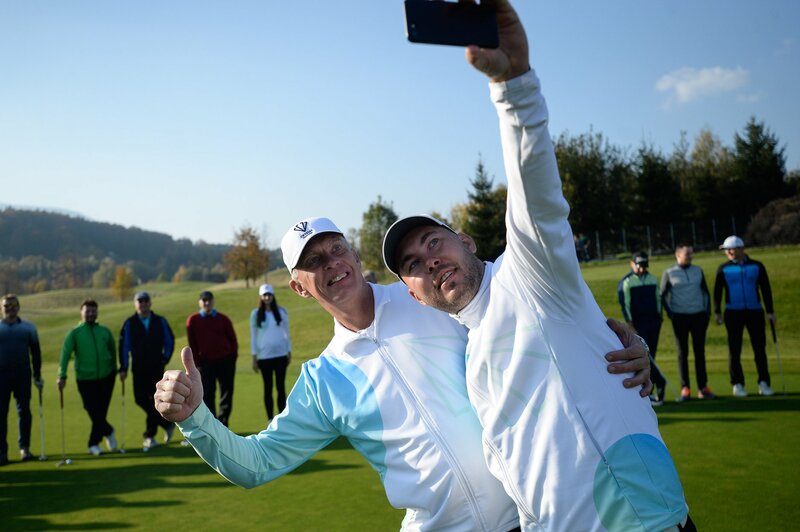 9:15 - Shot for Nico - together we will support the young golfer Nicholas Schellong in his challenging fight. 10:00 - Start of the final tournament from holes 1 and 10 - the startlist will be send by e-mail on Thursday, October 11, 2018, will be available on the web, facebook and in the clubhouse. 9:00 - Start of the final tournament from holes 1 and 10 - the starting list will be received by the audience by e-mail Friday 12.10.2018 evening, will be available on the web, facebook and in the clubhouse. Playing under R & A St. Andrews and local rules. Buggy is not allowed except for medical reasons, with the confirmation from the doctor. Please inform us about the buggy request. Measuring devices are allowed if they measure only distance, not incline, weather conditions, etc.